On my 30th birthday, I was gifted a pair of Apple AirPods. Despite being an Android user, they had caught my fancy after I tried a friend’s pair several weeks ago. As anticipated, I absolutely love using them. There are tiny conveniences to truly wireless earphones, like not having a wire dangling on one of your shoulders and even your neck. AirPods also finally let me sit cross-legged with my laptop and listen to music (it’s awkward with wired headphones that connect to the 3.5mm jack on the side). But having said those nice things about the AirPods, they definitely aren’t for everybody. Here are certain pitfalls I observed after my one week of usage. AirPods are shaped the same as wired EarPods that came out in 2012. 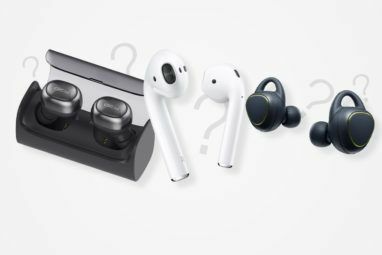 Unlike traditional in-ear headphones in which rubberized tips offer a better grip, both AirPods and EarPods are shaped such that do not seal the ear canal opening. Instead, their design occupies most of the space outside the ear canal, in order to stay in place. The design is supposed to fit a broad range of ears. But it doesn’t fit everybody. If you’re the kind of person who’s tried Apple EarPods before, and they didn’t seem to fit as snuggly or just kept falling out of the ear, expect the same with AirPods. Except that with EarPods, you at least had wires that caught the earbuds if they fell off. With the truly wire-free AirPods, you’re sheerly out of luck if your ear type is the kind that doesn’t hold earphones well in general. In my personal experience, the AirPods fit me fairly well. The right AirPod fits just perfect, while the left one feels a wee bit loose. I keep slightly repositioning it back in place occasionally because after 15-20 minutes it feels like it’s going to fall off. To test this is just a feeling or if it’s actually loose, I tilted my head leftward several times, only to realise that the AirPod isn’t actually falling off. It basically just moves out of the “sweet spot” a little. Still, I would be a little extra careful when using them in windy conditions, or while running, or in the toilet. You can buy accessories, like this Spigen EarHooks Cover, to make AirPods sit snugly in your ear. But the charging case is so tightly packed that you won’t be able to fit AirPods inside with this accessory attached. And diligently carrying the fins along with the AirPods would require extra efforts, and we’re not sure if it’s worth the trouble for everybody. This is obvious: since they’re a truly wireless set of earphones, they’re fairly easy to lose. Keeping them back in the charging case after use every single time will decrease the chances of losing them. Else you’ll be shelling out $69 for every AirPod lost Apple Will Charge You $69 for Lost AirPods Apple Will Charge You $69 for Lost AirPods It's almost as if this courageous decision to ditch the headphone jack is a license for Apple to print money. But that can't be true, can it?! Read More . The worst part? If they’re not paired to an iOS device, you can’t even use the Find My AirPods How to Find a Lost AirPod Using Just Your iPhone How to Find a Lost AirPod Using Just Your iPhone Apple's AirPods are small, which makes them easy to lose. If you can't find an AirPod, this quick method will help. Read More feature, which causes them to emit a loud sound in an attempt to find them. Unlike the rest of your Apple devices, they won’t show up on iCloud.com under the “Find iPhone” category. There doesn’t seem to be any way to trigger the “Find My AirPods” feature from a Mac either. I use my AirPods on an Android phone, and I lose some of those wow-worthy features available when they’re used with an iPhone instead. 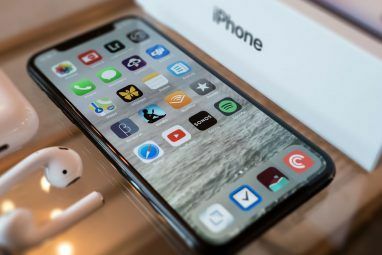 For instance, the pairing experience is comparatively How to Use Apple AirPods With Android Devices How to Use Apple AirPods With Android Devices Apple's AirPods are available for purchase, and while they're meant for Apple devices, they'll still work with Android. 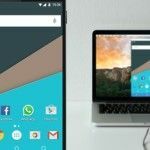 Here's how to pair them with other devices. Read More nicer: just open the charging case, and you instantly see visual cues on your iPhone. Although for what it’s worth, they do connect to a previously-paired Android phone automatically too. But using them exclusively with an Android phone means there’s no way to tell how much battery is left on either AirPod and the charging case. Yes, each pair of AirPods has its own battery life status, which can vary wildly if you’ve used one of them longer than the other. Also, the charging case has its own battery, which is also important, because the case is the only way to charge the AirPods. Speaking of charging, the case gets juiced via a Lightning cable, so naturally you’ll need to keep two cables handy if you’re using a non-iPhone device. Next, AirPods do this amazing thing where they pause any media playback if you remove even a single AirPod, and resume the moment you wear it back again. Of course, this Automatic Ear Detection works only with an Apple device. On an Android phone, media keeps playing even if you remove them (it will stop only after they’re put back in the case). Moving on, the double-tap gesture only stops and starts playback on a non-Apple device. On an Apple device, it invokes Siri by default. You can switch it to play/pause, or nothing at all. On an Android phone, there’s little hope AirPods will invoke Google Assistant any time soon, if ever. And if that wasn’t enough, Apple is unlocking new functionality for AirPods via iOS 11, namely the ability to set different actions for the double-tap gesture on each AirPod. The only way non-Apple users are going to be able to use this feature is if they pair their AirPods with an iOS 11 device to update its firmware. Since Apple AirPods don’t have any physical buttons, there are two ways to control media playback: first, via the source (like the phone, computer, smartwatch, etc. ), or second, with your voice. Say you’re running and don’t prefer fiddling with the phone every time to change the volume: with AirPods, the only way you can change volume without touching the source is by asking Siri. Trust me, after using a Google Home regularly to play music in the bedroom, asking a virtual assistant to change the volume over and over can get tedious. In my experience, activating Siri was a hit-or-miss affair. The double-tap gesture to the AirPod head would fail every other time. It takes some time to recognise the sweet spot where a firm double-tap registers a response, but it’s still not perfect. Now imagine trying to precisely double-tap a wireless earbud when running. Not to mention that you may look a little weird giving voice commands to an almost-invisible pair of earphones. Full disclosure: I’m not an audiophile. Therefore, I find the sound quality of the AirPods amply satisfactory for my listening. It definitely sounds better than wired EarPods from before. But like I said, I’m not an audiophile. To sum it up, you’ll be buying them primarily for the convenience, and not necessarily splendid sound quality. 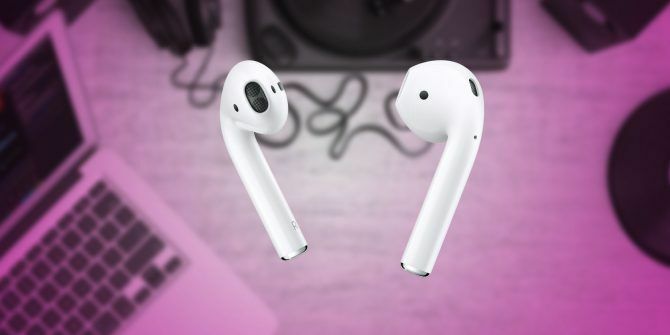 After reading all these nuances, do you think you’d spend $159 on buying Apple AirPods? Or would you rather take your money elsewhere Should You Buy AirPods? 5 Affordable AirPod Alternatives for All Devices Should You Buy AirPods? 5 Affordable AirPod Alternatives for All Devices The Apple AirPods cost a fortune and doesn't offer great audio quality. We've covered five affordable AirPod alternatives ranging from $20 to $150. Read More . Let us know in the comments. What was your experience with AirPods, or which other pair you ended up buying instead? Explore more about: Android, Apple AirPods, Bluetooth, Headphones, Wireless Sync. I totally LOVE my new ear pods. I use them mostly for phone calls but they are just so clear and comfortable to use. I'm telling everyone to get some. What a phenomanal waste of money. I'd rather listen to music through $2 earbuds I bought at Dollarama then stress over losing one or both of these trinkets. Why do you sheep constantly fall for 'better' versions that cost 10X that of something that works perfectly fine. With my headphones, when I am done, there is convenient play to rest it when not in use.... my neck. Good luck if you have these airbuds and no pockets. I wound up purchasing the Apple AirPods. I like t being free . The wireless functionality and the ease of pairing with all my Apple devices alone is well worth the price. I invested in a shock proof, water proof, scratch proof case that can be attached inside/outside a handbag , on a belt loop, wristlet or key chain. No more getting earbud wires tangled in my dogs leash or other dog's leashes at the dog park. Can use Find My Phone to locate them, cheap replacement cost if I loose one or both Air Pods. If I want better sound quality then I can always hardwire to my Beats or Bose noise canceling headphones. Superb for travel, school work. I can conceal the location of my iphone or ipod no more dead give aways by exposed wires. Love it and it's only day one. Sweet! Yeah I love the freedom so much that I've been taking phone calls mostly on them. Never said I had a lot of trouble pairing them with my Galaxy S6, just said the pairing experience on iOS is "comparatively" better. I use them with my Android phone, and they work like typical Bluetooth earphones would.